The barrier to a perfect golf swing could lie in your big toe. Or your heel. Or on the ball of your foot. These are the three areas of your foot that are most likely to cause golfers foot pain that can ruin your swing. Behind these pain-prone spots can lie stiff joints, stretched-out tissues and even nerve damage. But pain relief is possible and may not require surgery. Simple treatments such as custom orthotic devices (shoe inserts), stretching exercises, changes to your shoes, medications, braces or steroid injections and physical therapy. However, if these conservative measures fail to provide adequate relief, surgery may be required. Foot pain is not normal. With the treatment options available from our doctors at Alaska Foot & Ankle Specialists, a pain-free golf swing is clearly in view. 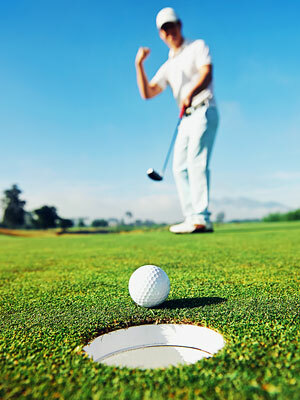 When your feet aren’t in top condition, your golf swing won’t be either.